This site does not work in Netscape 4; consider downloading Mozilla. "Arguments of homology are the bedrock of bioinformatics." Dissemination: Reaching Out, Connecting, and Knitting-together) is an NSF-funded project aimed at integrating bioinformatics throughout the undergraduate biology curriculum, using an inquiry-based approach in which students explore and analyze actual data in a way that recreates the experience of conducting research. Bioinformatics is the rapidly growing science of analyzing electronically stored and distributed biological data using computer-based tools. The accumulation of vast, complex genomic data sets enables us to formulate Aand test evolutionary hypotheses in a variety of fields such as conservation, medicine, agriculture, and forensics. Problem spaces containing background information, molecular and other data, and adaptable curricular projectsA calendar of upcoming BEDROCK workshops and conferencesInformation on bioinformatics degree programs, bioinformatics workshops, etc. 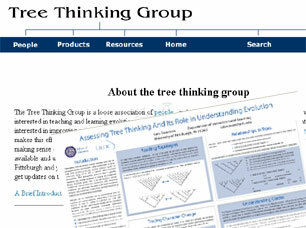 Copyright ©2008 BioQUEST Curriculum Consortium, All Rights Reserved. This material is based upon work supported by the National Science Foundation under Grant No. 0127498. Any opinions, findings, and conclusions or recommendations expressed in this material are those of the author(s) and do not necessarily reflect the views of the National Science Foundation.